Rafael Nadal has withdrawn from the Paris Masters with an abdominal injury, sending Novak Djokovic to the top of the ATP rankings. Nadal, the current world No. 1, had been set to face compatriot Fernando Verdasco on Wednesday, but he announced shortly before the scheduled start time that he would not be fit to play. With Djokovic only needing to better Nadal’s performance in Paris to take the top spot, the Wimbledon and U.S. Open champion next week will become world No. 1 for the first time in almost two years. Novak Djokovic back to #1 – can become the first player EVER to go from outside the Top 20 and finish year at #1 in the same season! Power of belief and persistence personified ??? Nadal, 32, revealed that he was advised by his doctor that he would not be able to play the full ATP 1000 tournament, describing the latest setback in a “tough year” during which a knee injury forced him out of a Flushing Meadows semifinal against Juan Martin del Potro after two sets. 2016 #RolexParisMasters – @DjokerNole’s 122-week reign as No. 1 ends. 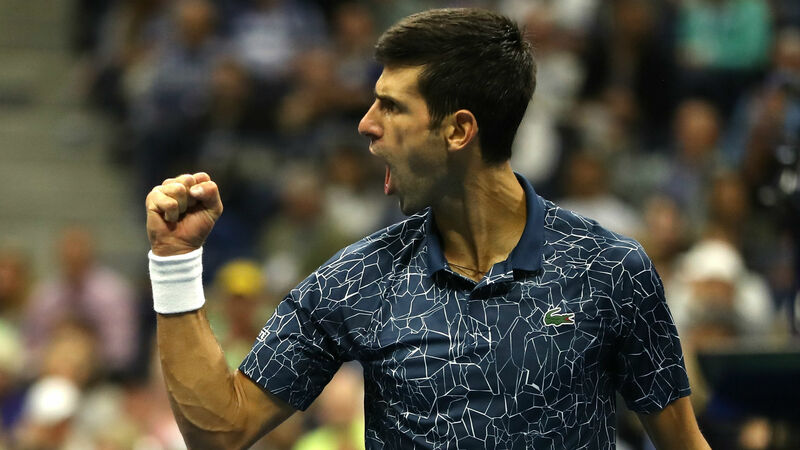 2018 @RolexPMasters – Djokovic returns to No. 1 for 1st time in 2 years. “As everyone knows, I have been out of competition since the U.S. Open,” he told a news conference. “I have taken some time off, come back and it was great to be here in Paris. “I’ve practiced with the guys and felt, in terms of tennis, better than I thought one week ago. “But in the last few days, I’ve started to feel the abdominal a little bit — especially when I was serving. I checked with the doctor, and the doctor said it is recommended I do not play. “If I continued, the abdominal could maybe break and be a major thing. I really don’t want that. It’s been a tough year for me with injuries. I want to avoid a drastic thing. “Maybe I could play today, but the doctor said that if I want to try to win the tournament, the abdominal will break. It would not be fair for me to go on the court knowing that it will not be possible to play the full tournament. Rafael Nadal explique son forfait pour le tournoi. Djokovic, 31, reached the last 16 in Paris by defeating Joao Sousa on Tuesday, his 19th consecutive win on the ATP World Tour. He will face Damir Dzumhur on Thursday.